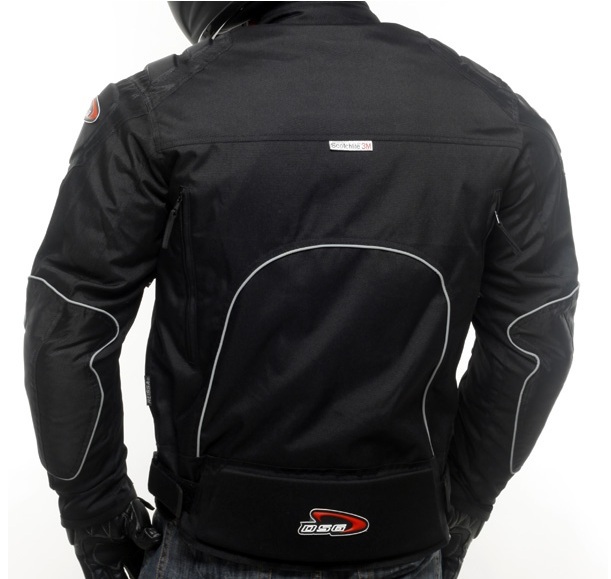 DSG nero jacket review | IAMABIKER - Everything Motorcycle! Reinforced Nylon/Polymer based 600 Denier Cordura fabric. Air Flow via zippered mesh panels on front, back and arms. Freezing Resistant upto -25Deg C.
3M Scotchlite Reflective Material: to enhance your safety at night & in low visibility situations. I have been using the DSG Nero for more than two years now, and in that two years the jacket has been through lots! Two crashes, heavy rains, intense summer heat to biting cold weathers, the jacket has brought me through all of them just fine. Comes with a inner thermal liner which is removable and it really does its job during those cold days. But on a hot sunny day even without the thermal liner and with the air flow zippers open, if you are not riding then you are definitely sweating a lot!But then that’s not a major issue. What surprised me the most is the water resistance of the jacket. Been through it in heavy downpour and except for a slight trickle that managed to go in through the neck, I was totally dry. One defect though is the slight rain or heavy the cuff of the jacket has a cloth layer for comfort but gets wet easily. The water proof pockets definitely saves your mobile phone and are easily accessible. The reflective linings on the jacket maybe could have been a bit bigger for better visibility. Another area for improvement would be the fit of the jacket in the waist area. Although the upper half makes you feel very secure the lower half feels loose. The straps have velcro, but these are not long enough to give a tight fit. 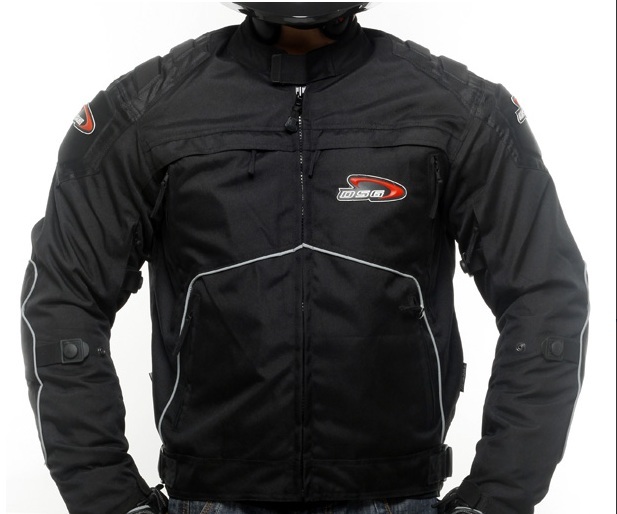 Rounding up the jacket does very well in serving its purpose and is actually a good value for money. Apart from the small niggles that I have pointed out it definitely has kept me from harms way a couple of times and dry a lot times.